I'm a little late but would like to wish you all a Happy New Year. 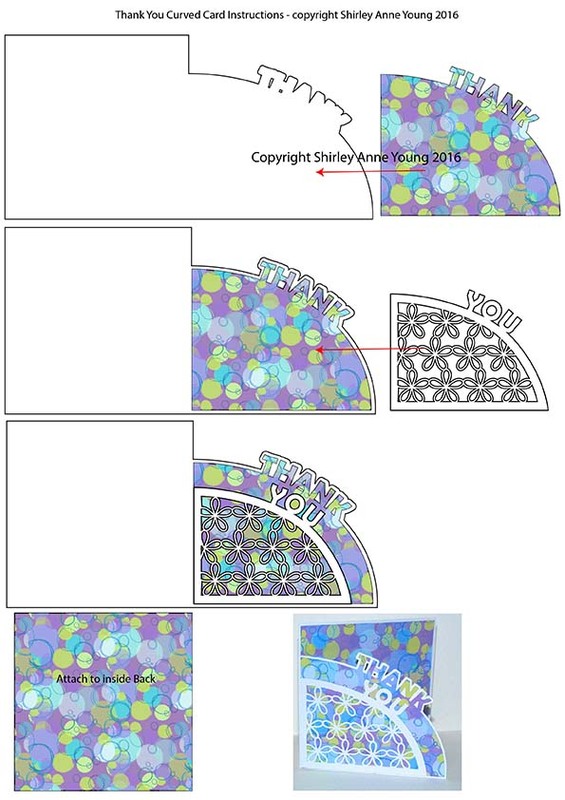 The freebie today is a Thank You Card which could come in useful this time of year. Thank you for offering this file, I like the curved flower overlay and this will be one of the first ones I make after I get everything put away from Christmas. Thank you love the card. Thank you this is lovely. Happy NEw Year to you! Thank you for the beautiful card, you are very talented. I love your designs. Happy New Year, Shirley! Love the card! Thank you for today's beautiful card and Thank you for all of the free files that you offer all year. Happy New Year! Thank you so much for the new card. It is beautiful! It's lovely Shirley, Happy New Year to you too! Made this card today. Loved it alot. Thank you. Merci pour ce joli partage, bonne et heureuse année 2016. Thank YOU for your generosity. This card will come in handy. Thanks for the freebie! Have a very blessed New Year. You are so sweet to share all your beautiful creations. Thank you very much. I love them all.